Kuwait Storage Blog: Toy storage bin – why is it a smart choice? Toy storage bin – why is it a smart choice? Kids will learn to organize things better - Storage units are generally used for storing furniture. But something as colorful and gentle as toys ought to be stored in better places such as toy storage bins. Advising children to store particular toys in their specific storage bins allows them to learn the art of organizing things properly. Kids will learn to become more responsible - Let children organize and store their toys properly in the respective bins. In this way, they become responsible for their own toys. Inculcating such values right from the start is a great way to make them more committed towards life. 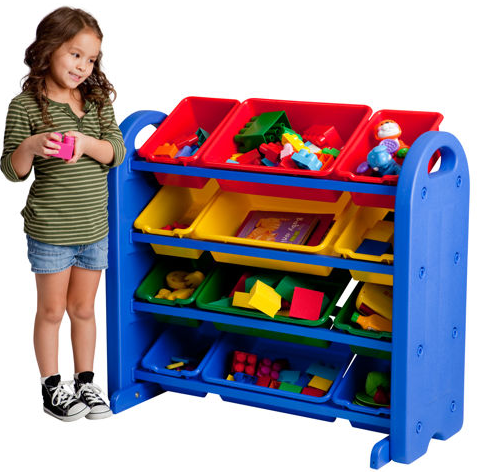 Kids can use it as a learning tool - Considering that toy storage bins arrive dipped in vibrant shades, they appear much more welcoming and attractive to kids. So before you even say it, your kids will be organizing the right kind of toys in the right bins. Kids will not consider it as a dumping bin – Although you may, at times, consider the toy storage bins as a dumping ground, your kid is unlikely to think so. For him or her, it’s a part of their play and so they become really innovative and creative by using them. A toy storage bin is indeed a smart choice for your kids.